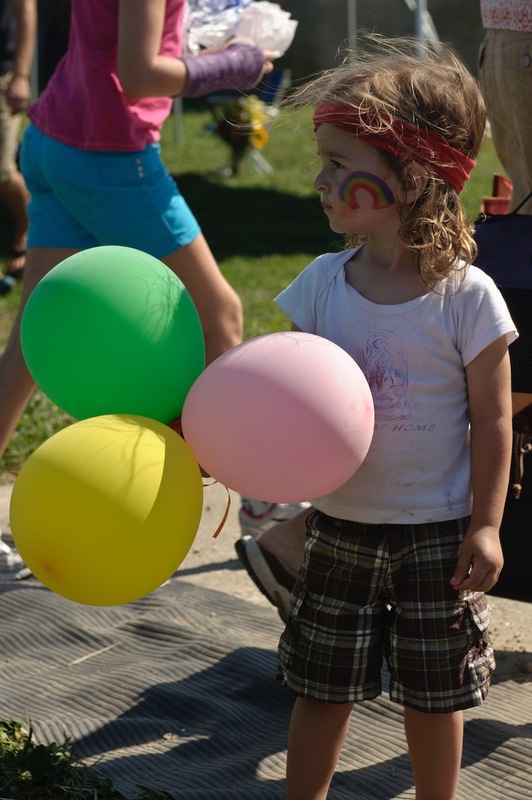 Our 30th Picnic Party this past summer was a hit thanks to our planning committee! Thanksgiving may be over, but our gratefulness is anything but! SCLT wants to give a proper acknowledgement to our 30th committees, which have planned and facilitated so many of the fabulous events that SCLT hosted this past 30th anniversary year. These events would not have been the same without the wonderful folks on these committees! So here is the cast of credits of each individual who has contributed his or her invaluable time to SCLT, making this a year something to cheer about. People want to grow food, but need spaces for it. 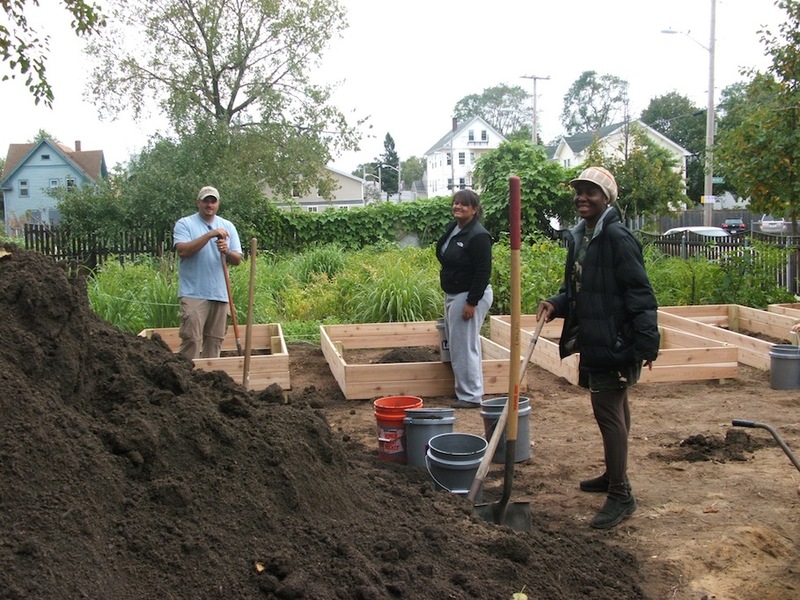 In 2011, SCLT gardeners, volunteers and staff helped build seven new community gardens in Providence. But these gardens are still not enough – many more people are still waiting for a plot. One such person was Naomi Timbo, a local church pastor and mother of four. Through her patience while waiting for a garden space for her family, Naomi has been involved with SCLT in many ways. “I have stayed involved because, even though I don’t have a garden plot, [SCLT] staff have given me other ways to stay involved and give back.” She and two family members helped out with the Potters Ave. Garden build-out, where they were able to get to know their neighbors and the SCLT team. 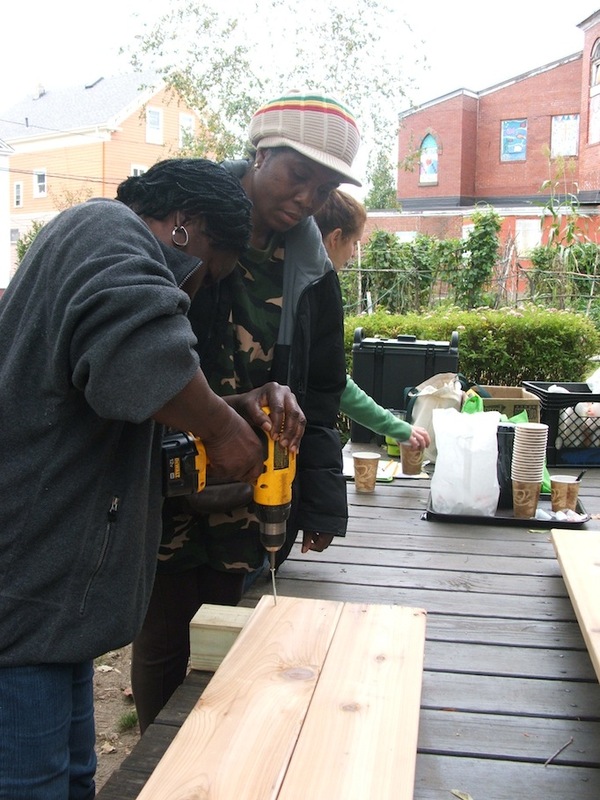 Naomi and a relative jumping right into building new garden bed frames at Potters Ave.
SCLT supports people like Naomi with opportunities to get involved with the Community Growers Network, volunteering at community gardens, and through Plant Providence workshops, where she her kids can learn to grow food in the city (whether it’s their backyard, front yard or even the porch). But the need is still there. In this season of giving, donor contributions allow SCLT to reach more and more neighborhoods of Providence and offer the priceless gift of healthy food and a stronger community. SCLT recognizes the powerful impact of bringing people together having spaces for growing food. We imagine neighbors of every ethnicity, income and class will be able to grow safe, dependable, affordable food within walking distance of their homes. Your end-of-year gift means we can get started right away with planning our 2012 community garden build-outs, educational workshop series, and Plant Sale seedling orders. With your support, SCLT is able to the needs of ALL kinds of growers, including Naomi! It’s been an exciting and productive year at City Farm! Thousands of pounds of food were harvested (about 2 tons to be exact!) and delivered to local restaurants, sold at farmers markets and donated to food banks. Hundreds of kids made their way to the farm to learn about growing food from seed to fruit, good bugs, compost and more. From cultivating hundreds of veggie starters and perennials flowers for the plant sale to hosting and teaching workshops on composting and chickens – it was indeed a busy year for the City Farm team! 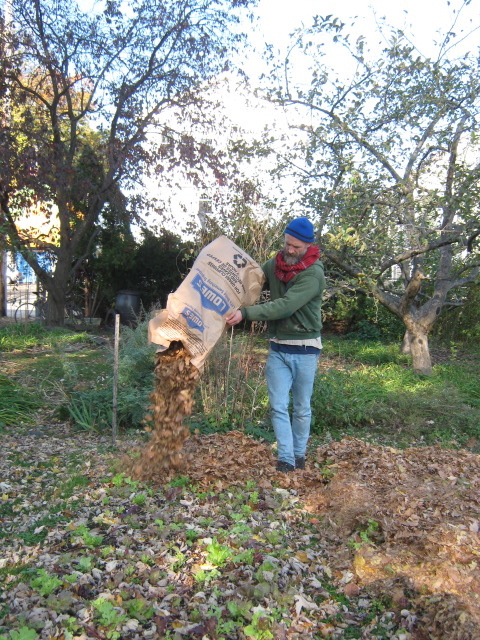 Dead leaves are the perfect mulch material that will keep the soil from losing moisture over the winter. Now that the sunny, summer abundance has faded into the slower-paced and brisk fall days, it’s that time of year that City Farm Steward Rich Pederson puts the farm to bed for a winter hiatus. Equipped with a hefty delivery of fallen leaves and harvested seaweed from the shores of Rhode Island, Rich applies the mixture onto the garden beds to keep the soil in tip-top shape over the winter. The process of mulching provides a protective cover for the soil in order to retain moisture, reduce erosion, provide nutrients, and suppress weed growth and seed germination. The minerals from the seaweed will ensure a beautiful harvest for the next growing season. You can prepare your own garden beds for the winter too. Check out our Urban Agriculture Resource Center for information about over-wintering and planting cover-cropsfor soil health.